Are you also interested in mastering the trains and metro in Paris? Then you should grab a copy of our Free Paris Public Transportation Guide! Alright, so you’re off to Normandy. The land of endless coastline, beautiful villages, apple orchards and of course Camembert cheese! Normandy is one of our favorite regions in France. It’s full of history, delicious food and lovely nature. The locals are also extremely welcoming and friendly. However, planning the logistics and choosing the best transportation options can be tricky. 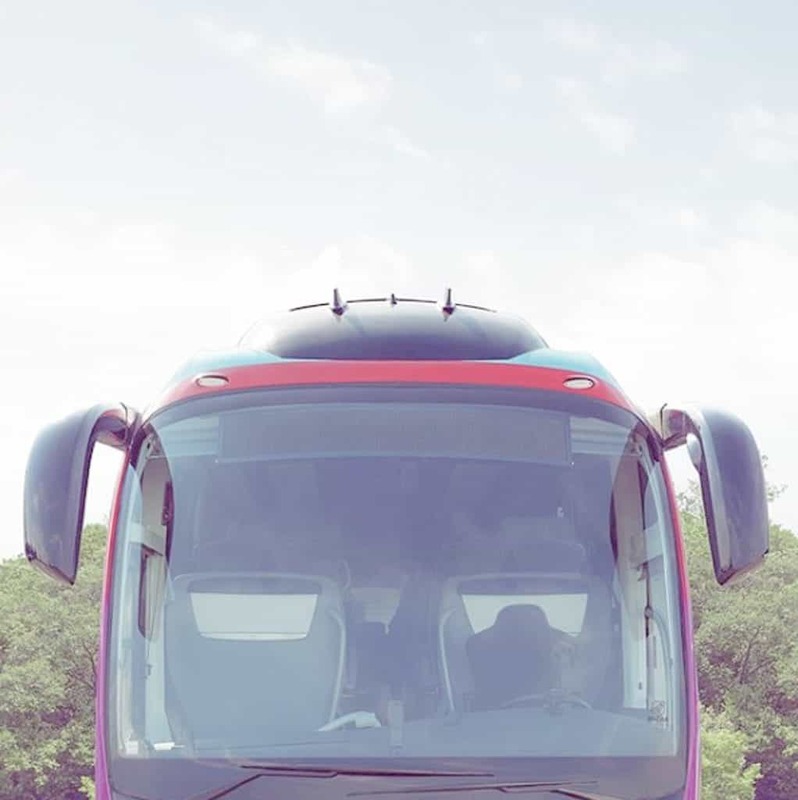 Renting a car, driving in from Paris, taking the train, attempting to navigate the many local bus networks – there are numerous decisions to be made. The best option for you will depend on your travel budget, desired comfort, itinerary and timing. There’s no need to panic, we’re here to help! 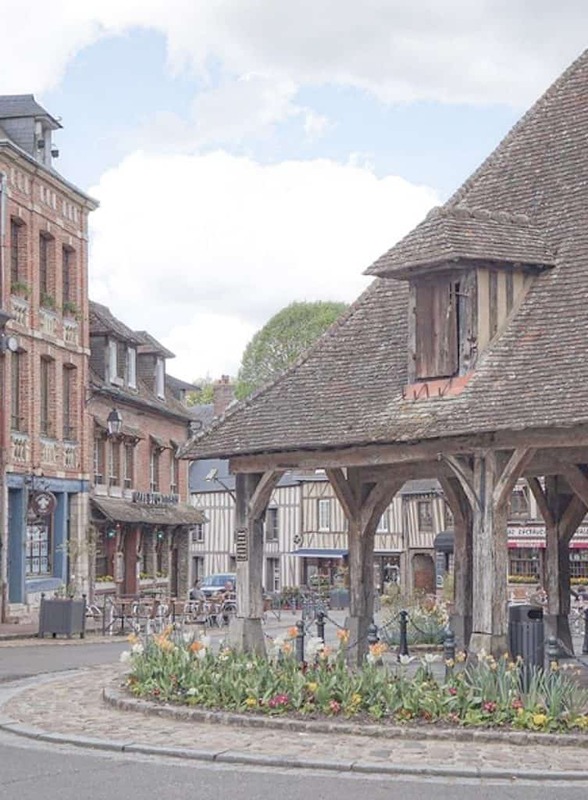 Check out our advice on the best way to get around Normandy. 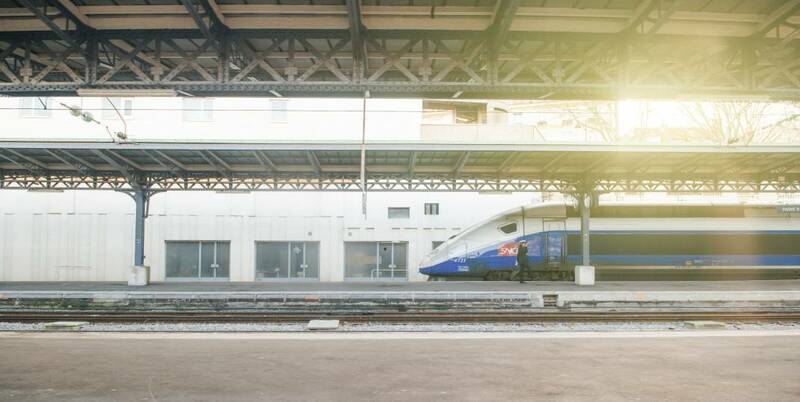 Whether you’re planning on taking the train, renting a car or even using local buses, we’ve put together a list of practical tips so that you can effortlessly plan your trip. We definitely recommend traveling by car, if you’re able to, during your time in Normandy. 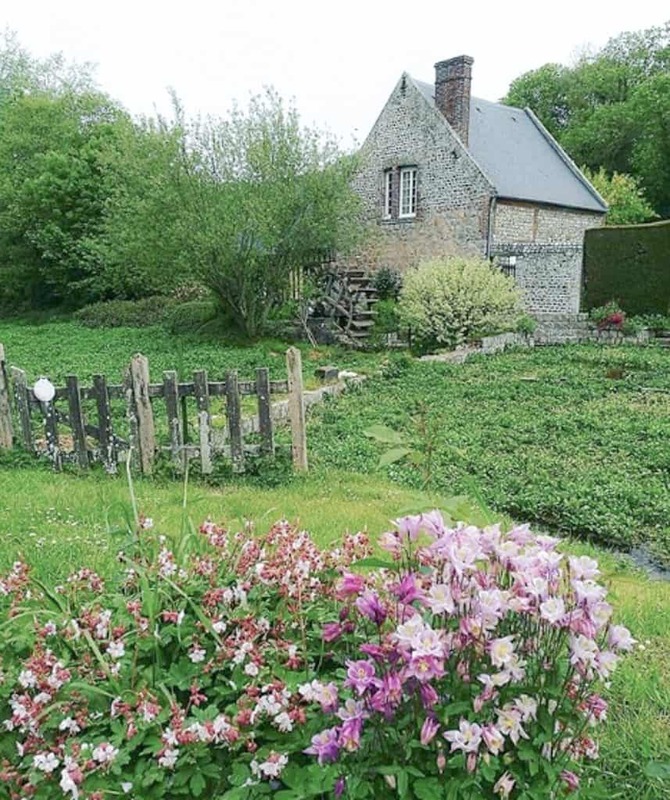 This will give you the freedom to explore some of Normandy’s hidden treasures and beautiful countryside. Also, public transportation can be limited on holidays and Sundays, especially in smaller cities or villages. With a car, you won’t have to worry about train or bus schedules and can visit at your own pace. However, if driving or renting a car isn’t an option, the train is a good backup plan. As mentioned, do double check schedules on public holidays and Sundays, but luckily, Normandy does have a robust train network. 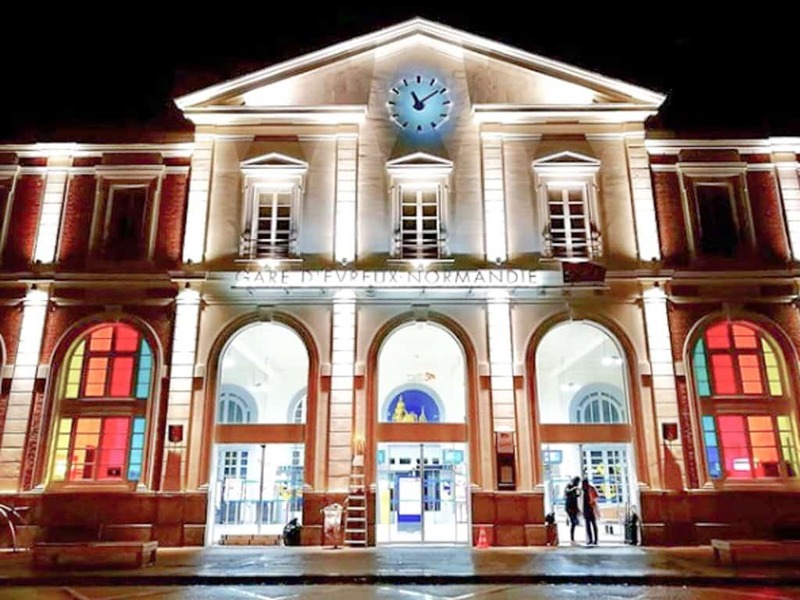 Most cities and towns have a train station and the local trains (known as “TER” trains), run mostly on time. You can check the SNCF website for a network map, schedules and search for an itinerary. There are multiple local bus networks throughout both Lower and Upper Normandy. Even some of the region’s tiniest villages can be reached via local bus.The fact that the network is so exhaustive can make it a little difficult to navigate. If you’re planning on traveling by local bus, we recommend knowing at least basic French or asking for precise directions from the tourism office. 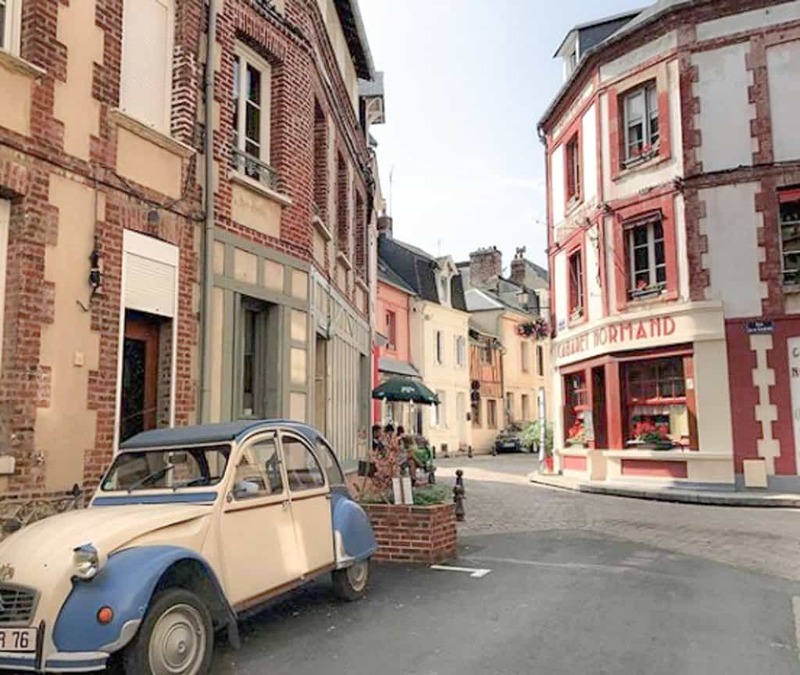 Driving from Paris to Normandy is easy and a great opportunity to see some of the bucolic French countryside during your travels. Take the A13 highway from central Paris or the CDG airport and head north. The freeway will take you all the way to the coast of Normandy. Total driving time will vary between 2.5 and 3 hours, if traffic is light. Try and avoid leaving on Friday afternoon or you’ll be stuck in some heavy Parisian traffic! Driving in Normandy is relatively simple, roads are in good condition and well marked. We do advise you to research ahead of time to brush up on French traffic laws and speed limits. It’s also helpful to get an International Driver’s License, or at the very least have your license translated into French. If you’re traveling in winter, know that heavy snowfall is quite rare in Normandy but there is often light snow in January and February so do plan accordingly. Rain and strong wind are also common during the winter months, especially on coastal roads.